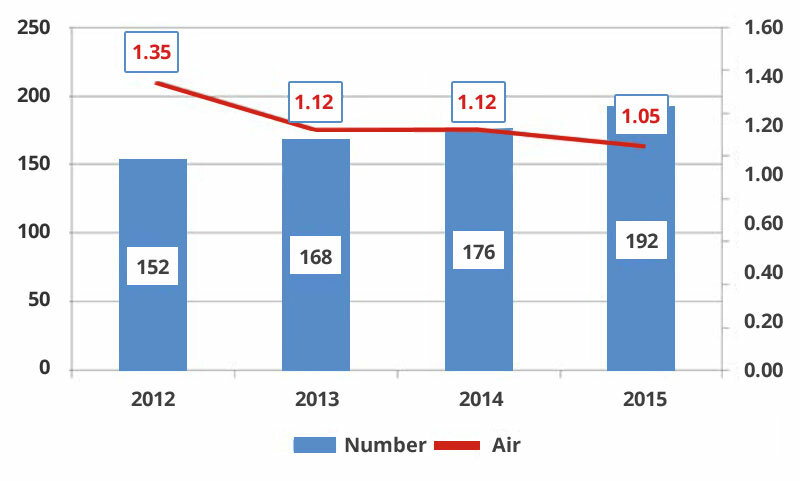 Increase in number from 176 to 192 – but accident incidence rate (AIR) % of headcount is down from 1.12% to 1.05%. 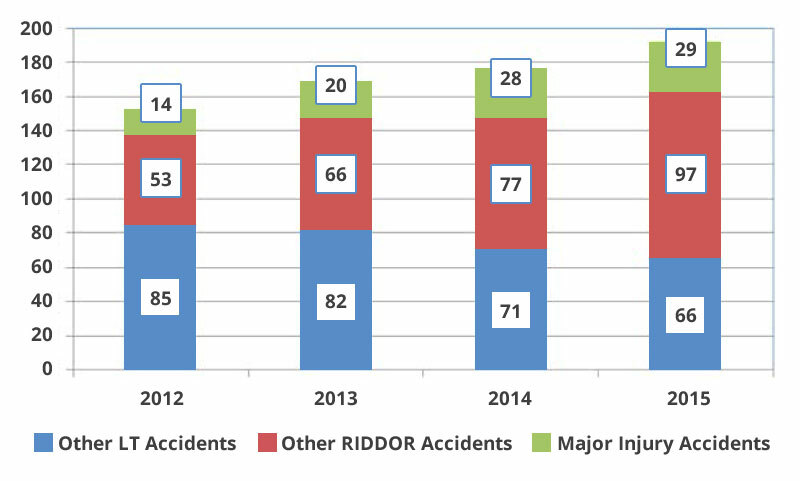 126 of 192 LTI accidents reportable to HSE – 29 were major injury accidents – 97 were +7 day absence reportable injuries. Reportable AIR 0.68% against Food and Drink Manufacturing benchmark of 1.00% (from HSE statistical report to 2014/15). Falls were 40% of the total while handling related accidents were 30%. 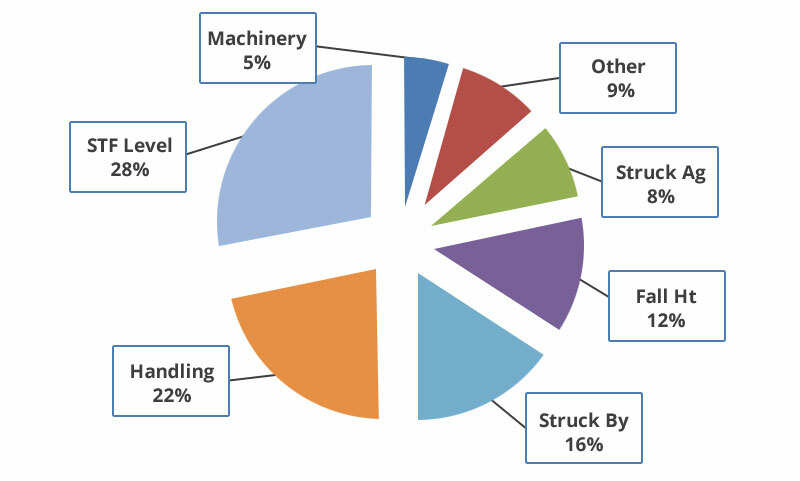 Machinery at 5% is slightly up on previous years and remains a concern due to potential for higher severity injury. 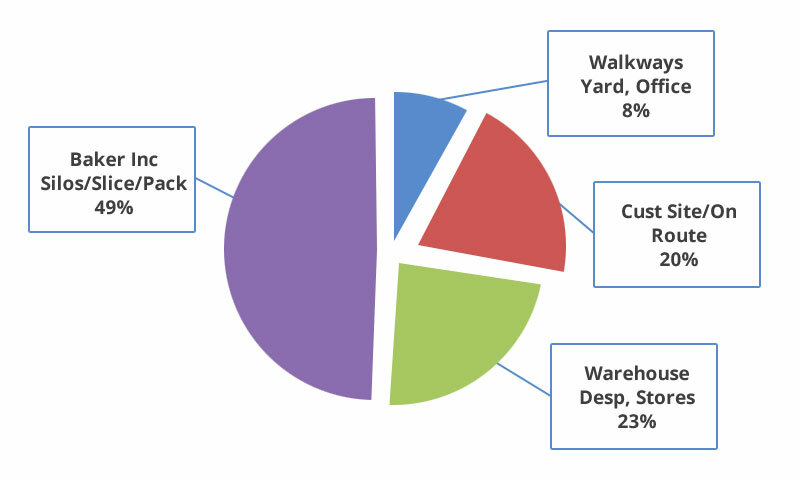 Off-site accidents accounted for 20% of the total and the split between bakery and logistics operations is 49% and 43% respectively.